It’s no secret how Amazon and other online retail giants have changed people’s lives. Two-day shipping has escalated into next-day shipping and consumers expect nothing less than “right now.” The demand for faster deliveries and even faster shopping has also affected the warehousing industry. Retail centers are getting stacked to their limits, quite literally, and load-handling machines like forklifts are busier than ever. More purchases being made online and needing to be sent directly to customers all over the world means that warehouses are getting tighter and tighter on space. Many retailers need to increase their available storage to handle more on-hand stock to fulfill orders coming in. The aisles in retail centers and warehouses are getting smaller and shelves are getting higher to make up for the increased inventory, and material handling machines like forklifts are needing to accommodate. In the day and age of instant gratification and communication, warehouses are churning orders and shipping packages on a 24/7 schedule with more shifts and a larger machinery fleet to meet the demand for quicker deliveries. Packed and over-worked warehouses are not only the result of having more items in stock. Warehouses also need to handle the growing number of returned items since the rate of online returns is about twice as high as purchases made in store. With many companies estimating a 40 percent increase in e-commerce by 2021, the need for smaller and more compact machines navigating narrower aisles and reaching higher shelves will only rise. Material handling machines need to have the capabilities of picking up and stacking individual items, rather than just pallets as more warehouses are shipping directly to customers and not to retailers. Additionally, material handling equipment will need to be able to multi-task, doing more than just raising and lowering pallets. There’s already industry talk of reach stackers being designed with the same attachments as forklifts to handle future warehousing needs. An ever-increasing demand for online products and timely deliveries won’t be handled by manual power alone. Automated processes will continue to increase in necessity in order to fulfill the demands of online consumers. Warehousing automation includes an increased use of machinery like forklifts and pallet jacks to handle items, rather than workers. Some material handling manufacturers now have semi-automated order picking trucks that increase the efficiency of order picking and decrease operator fatigue. 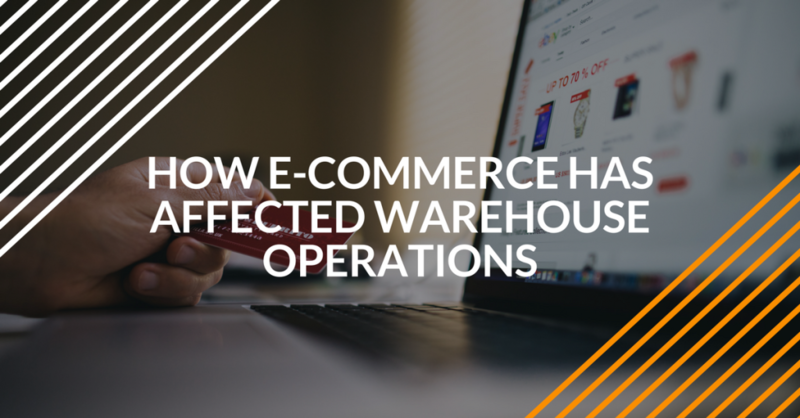 Additionally, warehouse management and fleet management software will become more and more important to keep orders, item handling, and shipping under control, especially in the unpredictable daily climate of e-commerce business. The warehousing industry is changing right along with the increased demands and expectations of online consumers. It’s safe to say that the future warehouse environment will be an exciting place to be a part of! If you’re a forklift operator and want to improve your skills and increase your knowledge to remain a valuable asset as e-commerce continues to take over logistics and warehousing, visit ForkliftCertification.com for all the information you need on OSHA-compliant training. We also certify brand new operators who want to be a part of this growing industry.